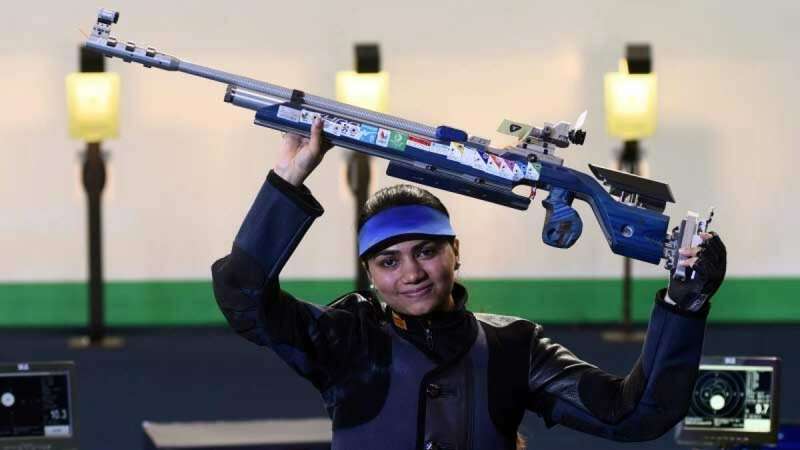 New Delhi : ISSF World Cup: India's Apurvi Chandela has won a gold medal in the competition after she shot top rank in the women’s 10 meter Air Rifle category in New Delhi on Saturday. With this, she also created a world record with 252.9 points. In the same competition, The Chinese took home both the silver and bronze medals. Zhao Ruozhu finished second with 251.8 points while her compatriot Xu Hong had to settle for the third spot with 230.4. This was Apurvi's third individual at the world cup.